Joe and Ripley Ty met in 2002 under a flickering streetlight at the corner of 4th and Washington Streets in downtown Olympia. Joe jokingly told the young Ripley right then that he would be her new best friend, unbeknownst to either of them how true the statement would eventually be. Fast-forward a decade or so, and they crossed paths again on the same Olympia corner. Joe asked what Ripley wanted to do that night, to hear simply, “I want to go fast!” Joe lead the way to the 1968 Charger he had parked around the corner, and they have yet to slow down. With a mutual love of music, mischief, and general dare-devilry, Juliet Tango was born. Their new project kicked off with a harrowing 4000 mile journey to Austin, TX and back, in their barely running version of the A-Team van, to play at the South by Southwest music festival. Along the way they were met with every variety of obstacle one can meet with on the road, from car wrecks and blown radiator hoses to something that very suspiciously resembled quicksand and treated their van accordingly, but they couldn't be stopped (as referenced in The Guardian Online in March of 2016 http://www.theguardian.com/culture/2016/mar/20/sxsw-2016-festival-austin-performers). In Austin, and in multiple towns on the way home (from El Paso to Las Vegas), they captured the attention and praise of everyone they met. The crackling and infectious energy that Juliet Tango brings to every live performance is only a small part of what makes them loved. Front man Joe Ty is a raw and natural talent who has opened for the likes of country legends David Allen Coe & Hank Williams III in previous projects and shared the stage with Anti-Flag and Tom Morello, amongst many others. He is able to seamlessly glide between all of the musical influences Juliet Tango draws from (everything from blues to outlaw country and grunge). This paired with how much the duo genuinely love what they do translates into an unforgettable performance experience and a set of well crafted and endlessly listenable music . 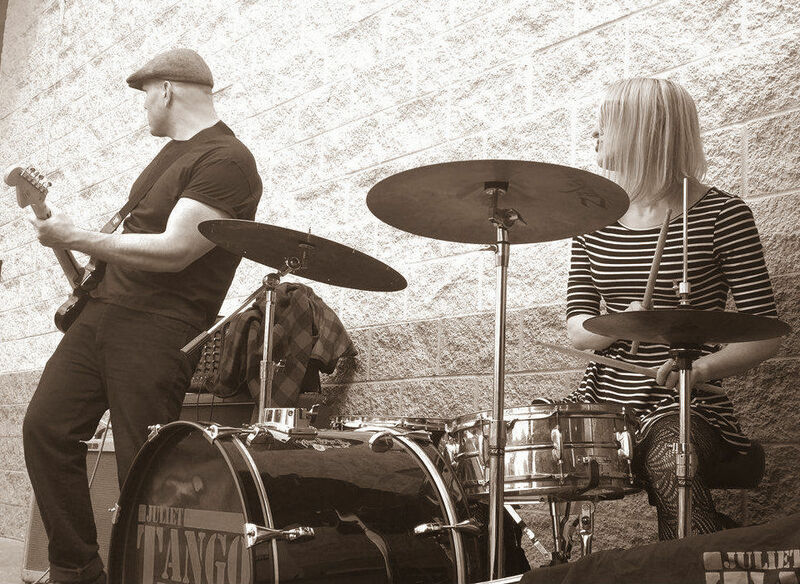 Juliet Tango just finished recording a short demo, and is currently working on their first full length album.